I've been reading Virginia Woolf since high school, and with more focus and intensity in the past five years. It was when I read The Waves for the first time, while living in Thailand and studying Buddhism, that I had an epiphany: not only was I a Buddhist, but Virginia Woolf was too! It was all over The Waves, holding the whole thing together - the repetitious push and pull of the waves "interludes," the melting together of the characters, a la inter-being, the references to past lives, and to the desire to break free from the chains of personality. Woolf was expressing in fiction what I was reading and hearing about in the Buddhist texts and lectures I sought out. The more I read of Woolf the more convinced I became. I continued my exploration in grad school and couldn't believe no one else had written about it before. Everyone was so interested in Woolf as feminist and lesbian that they often discounted the role she seems to me to play best - that of philosopher. Who cares if she's "mad," I thought? Who cares if she's gay? She's telling us something profound about the nature of reality, if only we would listen. If you read Between the Acts you can tell - she knew we weren't. What she may not have known was that what she was saying had been expressed before, if not in fiction. 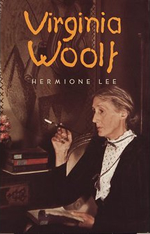 As much as I resist the idea that an author's biography is relevant to the study of their work, I wanted to be fully informed about my subject, so I checked Hermione Lee's humongous biography, simply titled Virginia Woolf, out of the library. Six renewals later, I'm a damn sight better informed. Lee's work is exquisitely thorough, thoughtful, smart, and generous. She draws a portrait not of a fragile, crazy genius, but of a hard-working, self-conscious, determined woman, desperate that her work be taken as seriously as she meant it. What's so great about Lee as Woolf's biographer is that she avoids the trap of over-simplification that less comprehensive studies often fall into. The Woolf presented here is complex and contradictory, human and endearing. But I was looking for evidence that she was a Buddhist. I both found it, and didn't. Lee writes that Woolf preferred to remain an outsider to all groups: "She did not define herself as a Sapphist [Woolf's term for lesbian]. She could not bear to categorize herself as belonging to a group defined by its sexual behavior (just as she didn't want to think of herself as an ordinary 'wife' or as a writer of 'novels'). She wanted to avoid all categories." The desire to "avoid all categories" includes religious ones. In 59 years of life, Woolf most often expressed contempt and skepticism for organized religion, particularly Christianity, but also Eastern "mysticism." In this she was very much her father's daughter. Leslie Stephen, who died when Virginia was twenty-two, and who she admired even as she struggled against, all her life, was a staunch agnostic. "The literary world knew [Leslie Stephen] for his rational agnosticism, his 'determination to separate ethics from religion.' 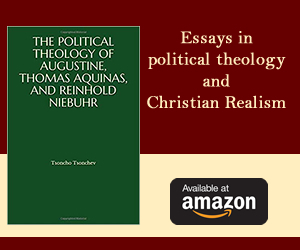 [...] It is hard to retrieve the sense of how influential his radical, independent-minded, forcefully-titled essays [...] were between the 1870s and the 1890s." His daughter was equally influenced. "Two of her most important words come from her feelings about him. One is 'egotism.' She derived from his behavior 'one obstinate and enduring conception; that nothing is so much to be dreaded as egotism.' The other is 'sentimentalism.' Leslie Stephen despised 'sentimentalism' and indulged in it. [...] But his own gushing of needy emotion [...] towards his women and his children, made his daughter extremely self-conscious about sentimentalism. She resented its equation with femininity, and was terrified of being satirized for it" (72). These two words - egotism and sentimentalism - crop up constantly in Lee's biography, leading me to believe two things: 1) Woolf's father's views of egotism definitively shaped her own ideas about the nature of reality, and were instrumental in her development of her own philosophy (which I believe is extremely close to that of Buddhism), and 2) that Leslie Stephens' view of sentimentality affected Woolf to the degree that her fear of it may have impeded her progress along a path that could have saved her from madness. At the same time, Lee suggests, this "madness" may have been what helped her reach such a profound philosophy in the first place. There is much to say on the topic of Virginia Woolf and Buddhism, but the most important thing that I took from Lee's book is Woolf's feeling, repeated throughout her life, that "personality," intermittently referred to as "self," can function as a kind of prison. The idea starts with her father's hatred of egotism, but Woolf reaches a far greater understanding of the importance of the "I" (ego), and the necessity of demoting this "I" in order to release oneself from the ties which binds us unhappily to life. Considering Woolf's ideas about ego in terms of Buddhism makes them easier to understand. "When we look at the ocean, we see that each wave has a beginning and an end. A wave can be compared with other waves, and we can call it more or less beautiful, higher or lower, longer lasting or less long lasting. But if we look more deeply, we see that the wave is made of water. While living the life of a wave, it also lives the life of water. It would be sad if the wave did not know that it is water. It would think, Some day, I will have to die. This period of time is my lifespan, and when I arrive at the shore, I will return to nonbeing. These notions will cause the wave fear and anguish. We have to help it remove the notions of self, person, living being, and the life span if we want the wave to be happy and free" (from The Heart of the Buddha's Teaching). Hahn's wave vs. water analogy is the same as Woolf's "Plato and Euripides" vs. "common mind." Each individual personality (Woolf, Plato, Euripides, Hanh, etc) is the wave, while "common mind" is the water: Woolf and Hahn are saying the same thing - when we live under the false belief that we are separate from one another, and that we will eventually die alone in this separation, we suffer. Our suffering is unnecessary because the premise it is based upon is false. We are not separate; we are "a continuation and development of the same thing." "We think that we exist only from this point in time until this point in time, and we suffer because of that notion. If we look deeply, we will know that we have never been born and we will never die. A wave is born and dies, is higher and lower, more or less beautiful. But you cannot apply these notions to water. When we see this, our fear will suddenly vanish" (Hanh). It is true that we are human; it is more deeply true, however, that we are made of something beyond that. The human will inevitably die; the something else cannot because it was never born in the first place; it has no existence outside of the common mind of the world. What the Buddhist teacher Thich Nhat Hanh is saying is what Woolf is saying, more insistently and obviously later in her life. In its third section, Lee's biography seems to dwell almost primarily, and appropriately, on this very subject. "Increasingly in the late 1920s and early 1930s, [Woolf's] ideas about the function of fiction were involved with her political 'philosophy of anonymity,' her detestation of the insistent 'I'-word of Victorian patriarchy or 1930s fascism. She wanted to move narrative away from 'the damned egotistical self.'" In her diary, Lee reports, Woolf developed a theory of "immunity," which she hoped might ease the pain of her own fluctuating emotions. "'Immunity,' I said to myself...to be immune, means to exist apart from rubs, shocks, suffering; to be beyond the range of darts; to have enough to live on without courting flattery, success; not to need to accept invitations; not to mind other people being praised; to feel This - to sit and breathe behind my screen, alone, is enough [...]. Immunity is an exalted calm desirable state, & one I could reach much oftener than I do." "Immunity" might easily be translated as the Buddhist concept of impermanence, which encourages the cultivation of equanimity in order to free oneself from desire and find peace. Woolf, like the Buddha, recognizes that "immunity" isn't going to just appear - one must work to attain it. Part of what makes this cultivation so difficult for Woolf are her beliefs about what art should and should not do, and her understanding of herself, first and foremost, as an artist. She is extremely concerned, all her life, according to Lee, that her fiction not devolve into the realm of "polemic." "When she came to explain to herself in her late memoir what made her a writer, she described it as a process of welcoming or finding valuable these shocks [of intense emotion]. [...] This 'pleasure' leads her to the philosophy of life which she was beginning to evolve in her 1903 notebook: that there is a pattern hidden behind the 'cotton-wool' of daily life and that all individuals, and all individual works of art, are part of the pattern. [...] She recognizes that what she is making is part of something pre-existing and universal: 'There is no Shakespeare; there is no Beethoven; certainly and emphatically there is no God; we are the words; we are the music; we are the thing itself.'" Woolf wanted to transform her ideas about life into an artistic whole, exposing the pattern, the whole that it was not possible to actually see, at least not all at once, in everyday life. "The six characters were supposed to be one. I'm getting old myself-I shall be fifty next year; and I come to feel more and more how difficult it is to collect oneself into one Virginia; even though the special Virginia in whose body I live for the moment is violently susceptible to all sorts of separate feelings. Therefore I wanted to give the sense of continuity, instead of which most people say, no you've given the sense of flowing, a passing away and that nothing matters. Yet I feel things matter quite immensely. What the significance is, heaven knows I can't guess; but there is significance-that I feel overwhelmingly. Perhaps for me, with my limitations, - I mean lack of reasoning power and so on-all I can do is to make an artistic whole; and leave it at that. But then I'm annoyed to be told that I am nothing but a stringer together of words and words and words. I begin to doubt beautiful words. How one longs sometimes to have done something in the world." Oh, but you have done something! I want to shout upon reading this. You have done so much, dear Virginia Woolf (and you, too, Hermione Lee, for helping us to understand her). To me you are in no way a mere "stringer together of words and words and words": no, you are a spiritual leader. In a very real way, to me, Virginia Woolf is a kind of Buddha. After all, as another great spiritual leader, Jesus of Nazareth, understood, the only way we can make sense of the world is through stories. Buddha sometimes told stories, but mostly he and those who have tried to explain his teachings have written in the language of philosophy rather than the language of art. I am here to say that we need both. As I was driving to Vermont with my husband recently, I had several hours to experience what Woolf meant about gathering up her separate selves into one Virginia. For whatever reason, as I drove through a sunny, snowy Vermont day, separate, seemingly unrelated moments of my life kept coming to me, unbidden, as though they were bits of snow gently flung against my windshield. Unlike snow, however, these "moments of being" were able to permeate the shield and drop directly into my brain, where they melted, as snowflakes do upon unfrozen ground. It took me awhile to figure out why, in my mind, this seemingly trivial experience felt linked with Lee's biography and my own ideas of Virginia Woolf. But I've figured it out now: it's because I don't want to be categorized either. It's because ever since I began to study Buddhism, I've both understood and wanted to be "both/and." I'm not just the girl singing in the church choir. Nor am I only the girl with the lank hair and ill-fitting skirt working her first job at an office in Manhattan and hating her life. I'm not the drunk, or the yogi, or the stoner, or the writer. I, like Woolf, do not want to be pigeonholed. I, like Woolf, also believe that I have lived other lives and that I will again. I enjoyed Hermione Lee's biography of Virginia Woolf because I identify in so many ways with Woolf - with her fluctuations of mood and her persistent desire to make something of value from these painful swings, with her complete seriousness and fear of being laughed at, with her arrogance and her anxiety - and I appreciate the way Lee handles the conflicting data about this real person to tell, not a simple story of a single kind of person, but to present some (okay, many) of the facts, ideas, opinions, and expressions of a complex and often contradictory woman. I am grateful to Lee for not shrinking Woolf down to make her fit into a category; it gives me hope for the rest of us, and it does justice to the spirit of Virginia Woolf, a real, if reluctant, bodhisattva. Emily Burns Morgan lives in Brooklyn, New York, and teaches rhetoric and composition at Marymount Manhattan College and at Fordham's School of Continuing and Professional Studies. You can read her blog at www.mostlynovels.blogspot.com.